BleachHouseLibrary.ie: #IrishFictionFortnight - Day 11 - "Between You And Me" by Margaret Scott. Author Q&A and Giveaway. #IrishFictionFortnight - Day 11 - "Between You And Me" by Margaret Scott. Author Q&A and Giveaway. There is a PB copy of this title up for grabs, for #IrishFictionFortnight. Just enter via rafflecopter link below for your chance to win. Good Luck! Holly Green is an auditor with a New York firm. While working temporarily in the Dublin office, she falls in love with her colleague Oliver Conlon. Fresh out of a disastrous love affair, she now feels she can rebuild her future. Then she comes up against corrupt businessman Ger Baron and her tough- minded tactics land her in hot water at work. It looks like she must return to New York, leaving Oliver and a lot of unresolved issues behind. But, suddenly thinking outside the box, she makes a decision that puts her in a very strange situation indeed . . .
A few days later Holly is live-in nanny to two small children – a withdrawn five-year-old and a demon two-year-old – and is wishing she really did have the experience she claimed she had on her CV. Then she makes two discoveries: Supernanny – and the fact that applying her own business training may be just the thing to whip the household into shape . . .
Whipping Oliver Conlon into shape is another item on her agenda . . .
What was the last Irish book/Irish author that you read? Who was the first person to read ‘Between You and Me’? What did you do to celebrate the launch of your debut novel? After the launch in Dubray Books, Grafton Street a group of us went around to the Shelbourne for drinks - I’d planned nothing as to be honest my nerves hadn’t allowed me see any further than my speech but it turned out to be a super night. Hopefully we’ll do something similar in March for the next one, maybe without the nerves this time. What is on your bedside table at the moment? You’re down to your last cash. A book or groceries? The last book launch you attended? Kate Beaufoy’s launch of ‘Another Heartbeat in the House’ where I even got to meet my writing idol Marian Keyes who is even lovelier in real life. I do love a good book launch, it has all the hopes and dreams of a wedding but takes up far less time and you go home with something new to read! Who was the last person you messaged? Who is the most famous person in your mobile phone contacts? Couldn’t tell you that or I’d sound like a stalker. Ok, it’s Caroline. Big night out or cosy night in? Big night out with good friends (as long as there’s dancing) because with a ten month old baby, what’s rare is wonderful! Winter reading (by the fire) or summer reading (sun lounger)? You could only save one thing in the event of a fire (Family or pets excluded), what would it be? Margaret Scott is an accountant by day and a writer by night and her first book ‘Between You and Me’ was published by Poolbeg Press in 2013, enjoying several weeks in the top ten of the ROI Best Sellers list. 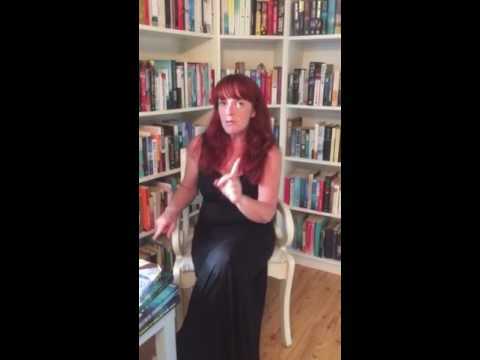 She lives in Kildare with her husband two daughters and baby son and her second book ‘The Fallout’ is due for publication in Spring 2016. 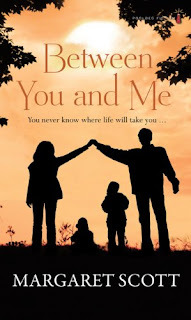 Between Me and You is published by Poolbeg and is available in paperback and ebook format. Martina Reilly - I love Poolbeg! Anna Kelly, this book looks so good. I love Poolbeg!